Young sisters Mona and Rachel are left to their own devices after the loss of their parents. Confined to their childhood home and constantly surrounded by nostalgia of the past, the girls have created their own pseudo-realities. Rachel finds solace in her music and old spiritual practices while her older sister Mona turns to unconventional and taboo forms of self-expression. When a man abruptly enters their world and starts to pull away at the fragile threads holding everything in place, the sisters find themselves facing harsh truths about their past. With a dark dream-like filmmaking style, BIRDS OF NEPTUNE encapsulates the enchanting mystery of the Pacific Northwest. 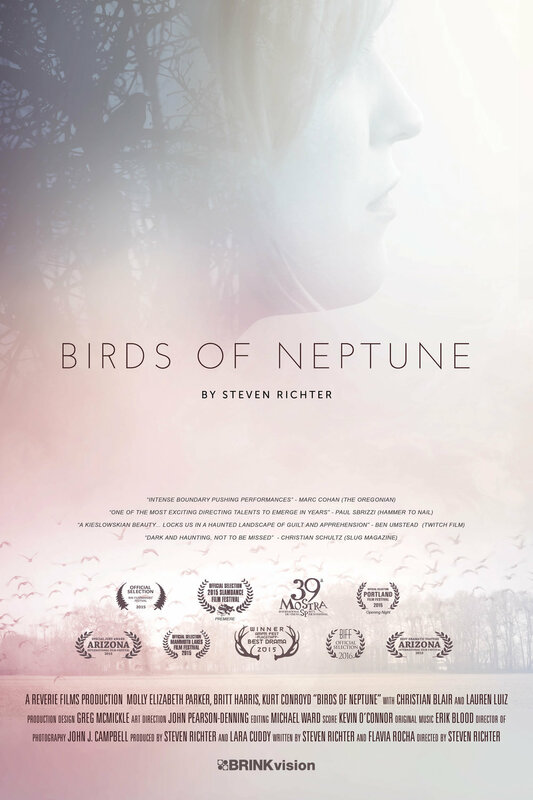 Birds of Neptune premiered at the Slamdance Film Festival and is being distributed by Brinkvision (US) and Elo Company (World). Available on DVD and VOD through Amazon and Fandor.